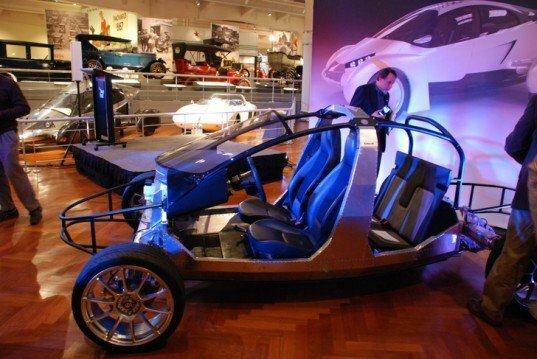 Edison2 just unveiled the latest version of its Very Light Car (VLC) at The Henry Ford Museum in Dearborn, Michigan. An earlier version of the vehicle won the $5 million Automotive X Prize back in 2010, and the new Very Light Car 4.0 incorporates safety innovations developed for long-distance racing cars and uses batteries and motors similar to those in standard EV’s. The new vehicle weighs less than 1,100 pounds, and the makers expect that their final production version will weigh under 1,400 pounds while still meeting federal safety requirements. Edison2 manufactures its low-mass vehicles using mostly recyclable aluminum and steel. The latest VLC, unveiled last Thursday, has the same architecture and efficiency as the model that won the X Prize. The design’s sleek, aerodynamic body has four wheels separate from the body and connected by struts. The vehicle has its suspension placed inside each wheel- technological breakthrough that reduces weight and lowers aerodynamic drag. The technology was patented by the Edison2 team and they hope it will revolutionize the automotive industry. The model which won the 2010 X Prize weighed only 830 pounds and was powered by a one-cylinder motorcycle internal combustion engine. 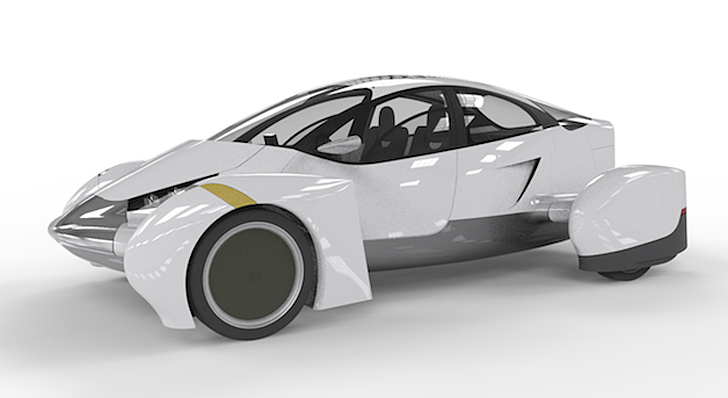 It achieved 110 MPGe in X Prize on-track testing. The electric powered VLC achieved 245 miles per gallon in tests drives in 2011, traveling 114 miles on a single charge. The electric version can be recharged in six hours from a standard 110-volt socket. With such a low weight, sure the car is going to be a lot faster and quicker on the road and I’m sure that a lot of my car finance customers would love to know that there are cars that can do that for less money. But will that mean that safety will be compromised? We need to look at the full figures and ensure that the testing on the car show that the weight won't make the car any more susceptible to crashes if an accident happens.